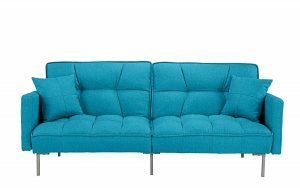 Believe it or not, sofas play a big role in our lives regardless of its size, shape, and color. They are the first things that welcome all visitors in the house and where all kinds of conversation happen. It is where people spend a lot of time with their friends and family no matter what is the occasion. 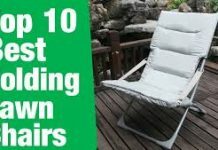 Some people even call them their favorite spots whether they are simply reading, watching TV, or playing some video games. When in search for the best sofa bed, this Editor’s Choice is certainly one of the top products that you should consider. This sofa bed that has the Signature Design of Ashley Larkinhurst is definitely a stunner with its functional style. 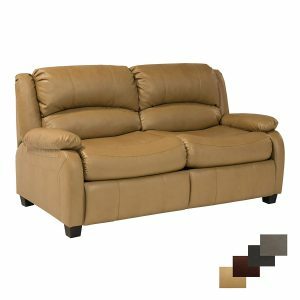 It is also perfect if you want a sofa bed that can bring in that rustic and weathered leather that you are looking for. Despite its faux leather material, it doesn’t make the sofa bed any less especially when it comes to back support. 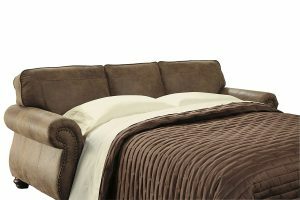 Topping as our Editor’s Choice, this sofa bed is indeed one of the best products out there. It’s a very versatile sofa bed with a classic design that can fit to any living room. Since it is a 3-seater sofa bed, it can accommodate more when seated. Its Queen-size mattress is also ideal for couples plus a small child or a pet if there’s any. Is lift and pull mechanism also made it easier to operate even when done alone. Are you looking for the Best Modern Sofa Bed? Then, consider your problem solved since this Rivet Revolve sofa bed can certainly flick your interest. Its modern yet simple look is perfect if you prefer to keep things not too fancy especially in a sofa bed. In fact, it’s far from looking like starter furniture in any house or apartment thanks to its mid-century style. Its color and upholstery also made it look a more high-end sofa bed with sturdy wood materials. 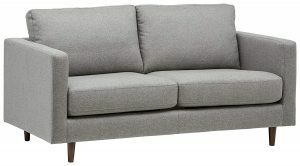 As our chosen Best Modern Sofa Bed, we really like its design that easily fits to any modern room. It has clean and pretty lines which help enhance its modern look. 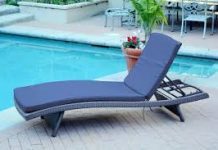 It is also comfortable to use for sitting, lounging, and sleeping since it provides efficient back support. It also has an impressive fabric which added to its aesthetic factor. 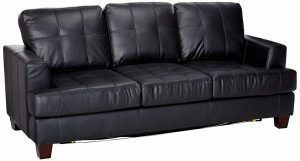 As the Best Leather Sleeper Sofa in this list, you can guarantee that this is made from nothing but quality materials. In fact, this awesome sofa bed is designed with a well-padded and leatherette that is breathable. Thus, you can never worry about feeling too hot whenever you want to sit or sleep on it for long hours. It also extends into a Queen-size bed with the same size of an innerspring mattress. As a 3-seater sofa bed, it can surely accommodate more seaters and sleepers. Can be a little expensive for some customers but definitely cheaper compared with top-of-the-line sofa beds. 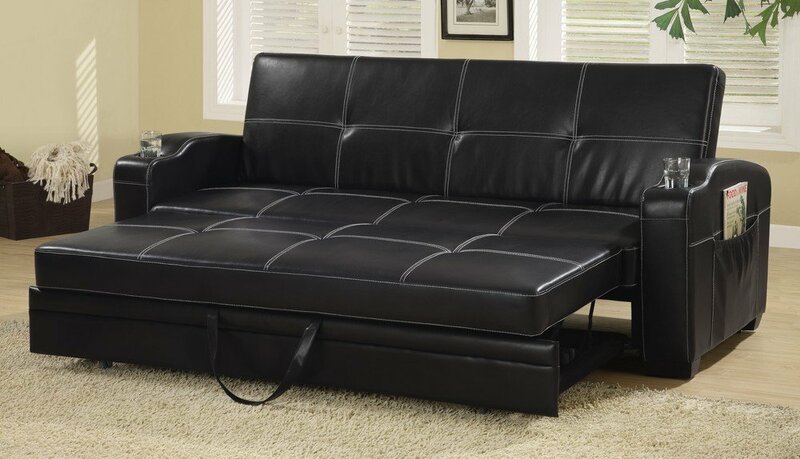 This sofa bed is what we recommend for customers who want the Best Leather Sleeper Sofa but want to save. Even though it is not made of full grain, it is made from high-quality PU leather that looks really genuine. Most importantly, it has a plush seating and thick mattress that we really like. When it comes to the Best RV Sofa Bed that you can easily operate manually, this is the best-selling one. It has a modern yet simple design that is aesthetically pleasing. This sofa bed also has a well-padded backrest, seat cushion, and armrests that ensure customers’ comfort. It also has a fine mattress for comfort and support. For the Best Queen Sofa Bed, this Signature Sleepsofa bed is worth the shot. Whether you’re a first-time buyer or not, this is a great sofa bed to invest on that can last longer. 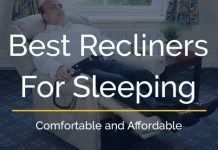 This 2-in-1 is available with a Queen-size memory foam mattress that helps reduce pressure points to alleviate body pains. Get ahead of the trend and take advantage of this Budget Pick sofa bed that is perfect for budget-seekers. This DHP sofa bed is built with a pull-out mechanism that is easy to operate even if you’re alone. Since it is a just a 2-seater sofa bed, you can quickly convert it into a bed and back. It’s also perfect to fill in small spaces. Last but certainly not the least, this Divano product is most affordable in our list of the best sofa beds. Thus, this is the perfect choice for customers who simply want the cheapest but cozy sofa bed. This is also recommended for customers who want to replace their good old sofa in the apartment or dorm. You might find this sofa bed familiar as Futon is very common in college dormitories and apartments. The futon sofa bed is made from either wood or metal and is designed to look just like any other sofa. You can easily unfold it to stretch out and sleep then fold it back after spending a quality sleep. The futon is a very lightweight sofa bed that you can easily transport wherever you need it. The most common type of this sofa bed that stores offer is the Bi-fold Futon. 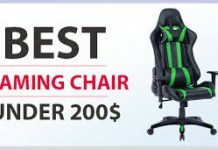 If you open it, the back support and the seat’s base should lay flat side by side. Its mattress should be on top after pulling a hinge to release the back support and flatten it gently. The futon is typically made with cotton batting and low-density foam which makes it uncomfortable sometimes. This is another common sofa bed that is perfect for those who spend hours hanging out in their sofa bed. It is typically made with super soft cushions and a comfy mattress that is slightly thinner than regular mattresses. Thus, it’s more expensive than Futons. Regardless, it should not be too thin to ensure that it’s still comfortable despite its metal bars underneath. Traditional pull-outs hide the mattress inside the cushion while modern pull-outs simply pull out the folded cushion and flatten it. As its name suggests, this sofa bed has a letter “A” shape when you unfold it. To convert it into a bed, just pull out its front panel and let the back support flatten gently. To unfold it, lift the front panel to unlock its mechanism and push it slowly until it returns to its “A-Frame”. Keep pushing until its back is already flat and secured with the cantilever system. If you’re looking for the simples sofa bed to operate, this Clic-Clac sofa bed can certainly work great. It is made with a very simple and convenient mechanism that only needs a little lift and push. Just lift its seat into a vertical position then push it until you hear the mechanism click then flatten it. To return it to its seated position, lift its seat again and push it to unlatch its locking mechanism. Sofa beds are typically available with Full or Queen-sized mattresses though there are some manufacturers that also offer other sizes. Depending on the size of your room, you can also get sizes from Loveseats (Twin), Twin XL, to King-sized sofa beds. In some cases, the sizes may also overlap so be sure to check the product dimension carefully. In this case, check the exact size of the mattress and its overall size once used as flattening out. For instance, some Twin and Twin XL sofa beds can have the same dimensions. 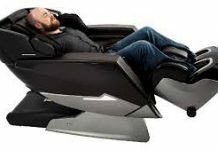 This is possible because the sofa beds’ backrests and armrests can either be too bulky or compact. So basically, its dimension also depends on its style. The frame refers to the skeleton of the sofa bed which it is made from. While some are made from wood or metal, some manufacturers incorporate both materials to ensure its durability and aesthetic appeal. Transforming it from sofa to bed then returning it to its normal state increases its wear and tear over time. Thus, the materials used in the frame matters a lot. At the same time, the frame can also have a sharp, curved edge depending on the style you prefer. Just beware when brushing on the sofa bed’s sharp edges since it may ruin your clothes. Or worst, it may also damage your favorite blanket or bed sheet which is the last thing you need. Since you want a sofa and bed in one piece of furniture, don’t forget to check its mattress. Despite its color, size, and style, the mattress can make or break your sofa bed if you overlook its quality. If you love the nice and cozy mattress in your bedroom, make sure your sofa bed got it too. In this case, it is up to you whether you want it to have a spring, air-coil, or foam mattress. Take note that the thickness and support system of its mattress also determines its level of performance, comfort, and price. Aside from the mentioned items above, it is also worth to look into the sofa bed’s operating mechanism. Depending on the sofa bed’s type and style, its operating mechanism may also vary. For instance, some can be operated by a lift and pull mechanism which is common in conventional sofa beds. All you have to do is lift its seat to a vertical position to release the lock. Then, pull it down and you now have a bed. Other sofa beds are operated by simply folding its mattress into two to three layers. Have you decided on the best sofa bed that is perfect for your needs? Just like any other furniture in the house, sofa beds also vary. 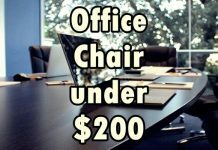 Some may suit your taste or your needs especially if you need an extra cushion and back support. In this case, be sure to get a sofa bed that has thicker and high-quality mattress with an excellent support system. 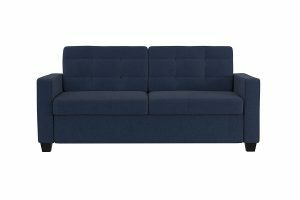 Depending on the space you have for a sofa bed, you can either get bulky or compact one. Regardless, it’s best to take note of the guide that we provided above whenever you browse on furniture shops.